I'm keeping this small branch in which touch event support is added to Mutter. Plug-ins can register to get touch events before any other client and then accept or reject touch sequences depending on whether the shell is interested on the gesture or not. As can be seen in this example of a mutter plug-in, any subclass of ClutterGestureAction can be used, which includes gesture recognizers for pan, zoom and rotate actions, but creating new recognizers is pretty easy. The mutter branch is up for reviewing in bugzilla and any comments on the approach will be very welcome. And if anybody wants to play with multi-touch gestures in Gnome Shell, please link to your work from the wiki so we can track it. If anybody from the design team has already started thinking about this, I would be very glad to hear their thoughts on this. As always, I'm grateful to my employer Collabora for sponsoring this work, and I hope GNOME benefits from it. As part of my ongoing work on multi-touch, I have been looking at handling touch gestures within Mutter plugins. Developing a X window manager/shell can be quite a hassle because you are likely to want to do that in a separate X display so your testing doesn't disturb the session where you do the actual coding. In the past I have used Xephyr to run a nested X display so I can run the window manager as I would run any normal application, but this time I found that Xephyr doesn't forward any XInput2 events right now, which is needed for MT. Having a separate machine where to test is an alternative but it has been quite uncomfortable. My colleague at Collabora Daniel Stone encouraged me to give it a try and it indeed didn't take much work to get something running, though I still haven't tested it much. Remember that these are early proof-of-concepts, but if you give it a try and want to give feedback, it will be welcome. As usual, thanks to my employee Collabora for sponsoring this work and letting me share it. Following my past work on multi-touch support in Clutter, have been playing lately in implementing the W3C Touch Events API in the Clutter port of WebKit. A lot of code can be reused from WebCore without problems, but we'll need to do some mildly complex event translation because the W3C API and the one in Clutter (and in XInput and in Gtk+) are very different. This is still early work, but once event translation is done, this should be very close to be feature-complete. And a nice side-effect is that given that the touch API in Clutter is so similar to Gtk+'s, it should be pretty straightforward to port it to WebKitGtk+. You can find the code here, but please keep in mind that this is very preliminary work. As usual, thanks to my employer Collabora for sponsoring this work. Following up on my work from last december, I have a branch of webkit-clutter that runs most of the WebGL demos that float around the web. The main differences are that the required new API has been accepted into Cogl and that there's a lot more code shared with the other WebKit ports. Right now bigger applications are not working because of this bug which also affects the Gtk+ port, but hopefully it will be fixed soon. The code lives in this branch and you will need this Cogl branch with a recent Clutter 1.10 release. As before, thanks to my employer Collabora for allowing to work on this. It surprised me how hard it is to find a really simple demo that uses OpenGL ES 2.0, and most of those are for Android or iOS. You will need either a very recent master or clutter-1.10 branch because there was a bit of fixing needed, but hopefully that will get into a release soon. Needless to say, you will need a recent Xorg (1.12) and support in the kernel for your multi-touch hardware. Hope that soon I will be able to work on gestures support and automated tests for this. Thanks for my employer Collabora for sponsoring this work. The Docs hackfest in Brno is nearing to an end and I think enough progress has happened on generating API reference from introspection to warrant a report. To see the current state, check the Telepathy-GLib reference generated here for Python. Tomorrow morning will work on fixing some issues in the GIR files such as enum docs not making to it and then I will head home. Hope you have as much fun with this as I have had! Once more, thanks to the GNOME Foundation, Red Hat and Collabora for sponsoring this work. Have spent my trip to Brno undusting and rebasing the branch in gobject-introspection that uses to Mako templates to generate Mallard code from GIR files. Here you can see how looks like the generated documentation for the Account class in the TelepathyGLib typelib for Python, and here is the one generated with gtk-doc. As can be seen, there's still a long way to get even close to the gtk-doc level, but it's a very promising start. Tomorrow I'm taking the train to Brno to participate in the documentation hackfest, with plans to continue the work on generating API documentation from the GIR files that are generated by GObject Introspection. I will be continuing the work that a bunch of us started in Berlin during the GObject Introspection hackfest last year. Will be giving as well a workshop on GNOME application development with Python and GObject Introspection as part of the Developer Conference 2012 that Red Hat is organizing there. 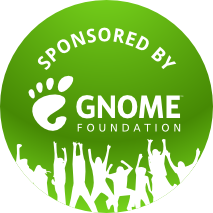 Thanks to the GNOME Foundation for sponsoring my accommodation, to my employer Collabora for sponsoring my time there and Red Hat for sponsoring the venue and the food. Things as they are, few hackers get to work on the same project their whole life. No matter how deep one has been involved in a project, and how much effort was put in, there are many reasons why at some point one may decide to distance from it. For different reasons, the people who have been maintaining PyGObject for the last couple of years (since the move to introspection) aren't currently using it much any more, which isn't ideal because it means they can allocate less time to maintenance and also lack the guidance of their own motivation. For now I remain listed in the .doap file, but as I'm not using PyGObject myself any more (even though Collabora sponsors some of my time working on PyGObject), my involvement will be limited to occasional patches and code reviews as I find time. To end, just note that Martin is using his canonical.com address, so I assume that Canonical is sponsoring his work as maintainer upstream, so kudos to them as well.